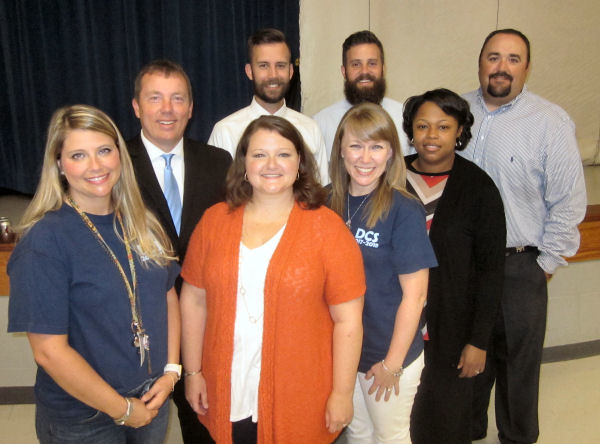 "Raise the Bar,” the theme for DeSoto County Schools, was unveiled for the 2017-2018 school year at the Administrative Staff Development meeting. 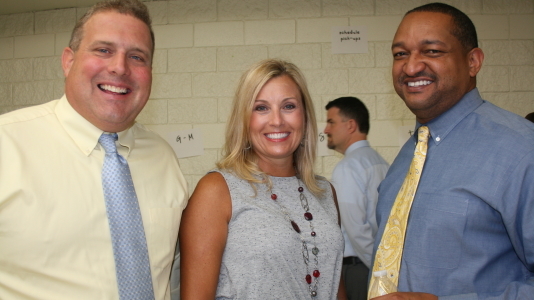 “We want to always strive for excellence, and all of our administrators, teachers, and staff members will continue to look for ways to help our students grow and to help them reach their goals,” Superintendent Cory Uselton told the group of principals, assistant principals and administrators. 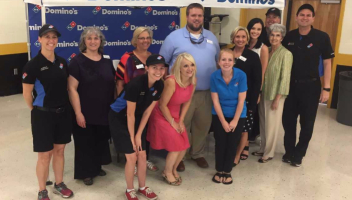 “Every employee in our district plays a vital role in the education of our children." 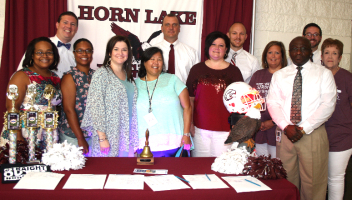 Uselton discussed how leaders should raise the bar on themselves through professional growth, evaluations and positive relationships, and that good leaders raise the bar for others through high expectations and creating a culture of excellence in their schools. Uselton then emphasized that great leaders lead by example, and as a result they are able to inspire others to raise their own bar. Uselton also described extraordinary leaders who motivate everyone to perform at their highest level. “Somebody comes along who doesn’t just raise the bar, they create an entirely new standard of measurement,” he said to the group. Then he asked, “Could this be you?” Uselton then stressed to everyone that our administrators and teachers are some of the most influential people in our students' lives, and they have an opportunity to make a difference every single day. 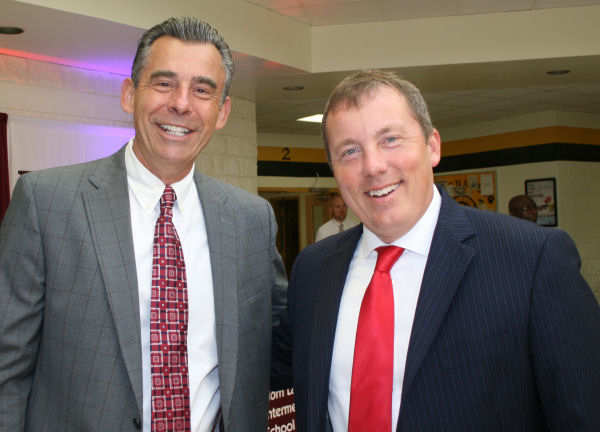 Superintendent Cory Uselton welcomed keynote speaker Dr. Todd Whitaker. 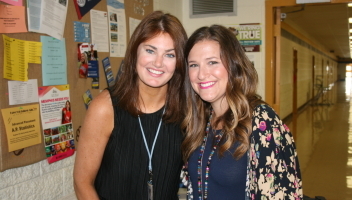 One of the nation’s leading authorities on staff motivation, teacher leadership and principal effectiveness, Dr. Whitaker has written more than 30 books, including What Great Teachers Do Differently. 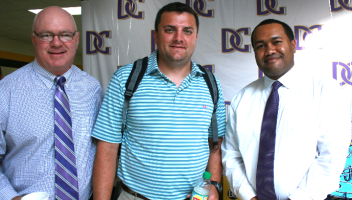 "We had an unbelievable morning at New Teacher Orientation!" said Superintendent Uselton. 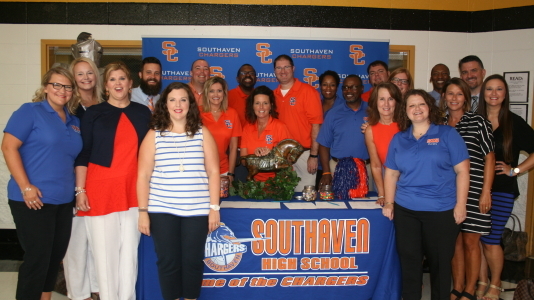 "All of our amazing principals and assistant principals were there to greet our newest members of #TeamDCS, and it was a first-class event. 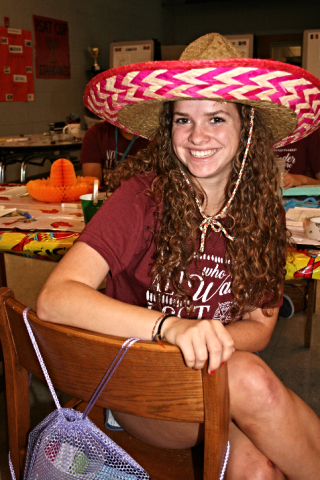 I'm so excited about this upcoming school year! Our new teachers are joining an incredible group of returning teachers, and everyone is focused on one goal...student success. 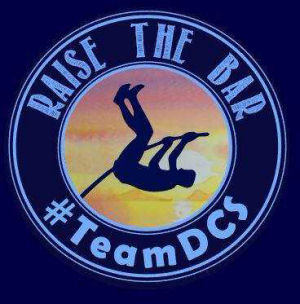 Everyone is ready to #RaiseTheBar! 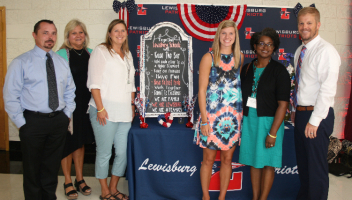 The Hernando High School administrators hosted the event, Lewisburg High School student Morgan Tibbens led the Pledge of Allegiance, the Hernando High School band played the National Anthem, and the new teachers heard the presentation "What Great Teachers Do Differently" from nationally-recognized speaker Todd Whitaker. 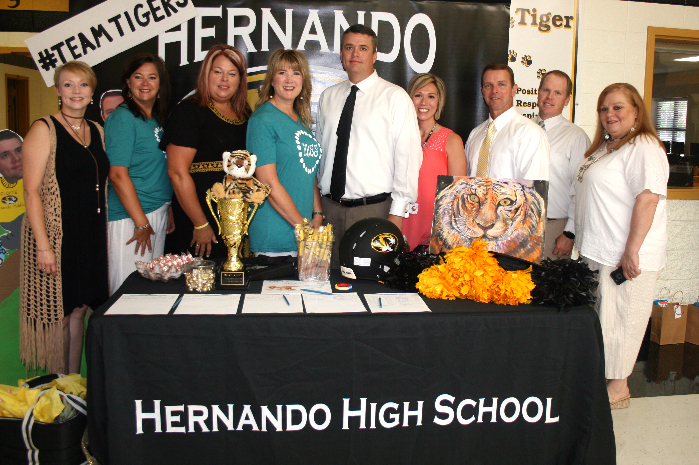 And the Hernando school zone won the table decoration contest for the second year in a row. 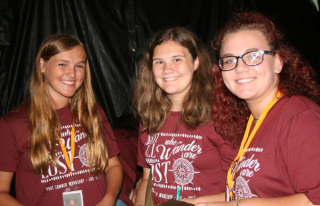 Students at eight DeSoto County high schools have been attending workshops this summer to push their ACT and SAT testing skills to the limit. 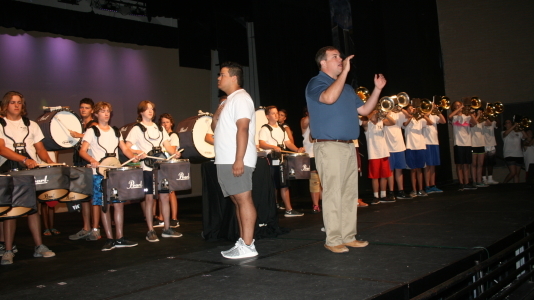 It is part of a two-year program for students enrolled in PSAT (Pre-SAT) classes. 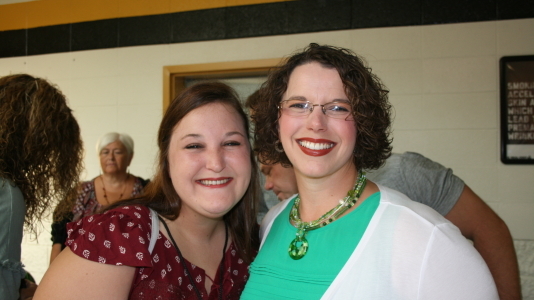 The class coaches students on test-taking skills for their college entrance exams and yields an average three to five point increase on the ACT, and 20 to 23 points on the PSAT, according to April Holifield-Scott, coordinator of the eight programs. “These increases often move students into scholarship range,” she noted. 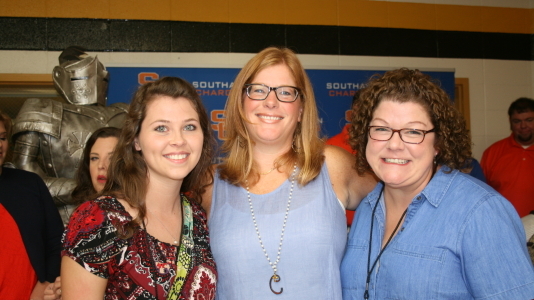 Maggie Dennis, Tracy Hunter and Patricia Clayton are the PSAT teachers at Lewisburg High. 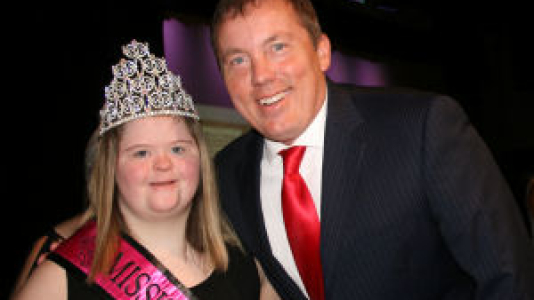 Overall, DeSoto County Schools had 116 students score 30+. The majority of these students were products of PSAT classes. All PSAT classes were furnished with a set of 30 iPads, a MacBook and a locking storage case that will recharge the computers while sharing data between them. This equipment was provided by the Homer Skelton Foundation. 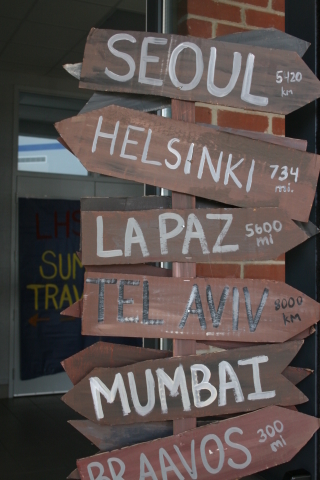 Lewisburg High's workshop theme was Around the World. One activity simulated a Moroccan market where students had tasks that forced them to work together estimating, calculating, following detailed instructions and completing a number of tasks under pressure in crowded situations. Dennis said this hour-long exercise, complete with Moroccan music, took three people working 10 hours to set up. In 2017, graduating seniors from DeSoto County Schools had record-breaking scholarship offers of $66 million. 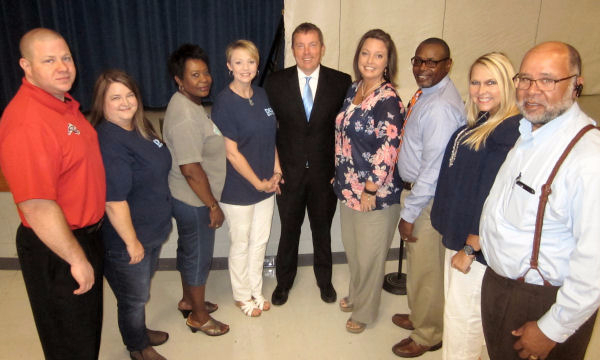 In the days of rising health costs, the Mississippi State and School Employees Health Insurance Plan managed by Blue Cross and Blue Shield of Mississippi, has a new service that could save you time and money. Online doctor visits through Amwell are now available for participants of the State and School Employees’ Health Insurance Plan. Employees can see and speak with U.S. Board-certified doctors. It is easy to use and is available 24/7/365. If you have “select” insurance, your cost for an online visit is $10 copay. If you have “base” insurance, there is a $49 copay until your deductible is met, and then it is a $10 copay. Doctors can diagnose and prescribe medication (if appropriate) for cold/flu, sore throat, allergies, rashes, sinus infections, pink eye and other common ailments. Carnahan said there are several steps to begin using this service. To see a doctor online, go to www.mssehip.amwell.com or download the Amwell app on your cell phone or other mobile device. Create a username and password, and enter Service Key MSSEHIP for the new benefit. She said initially it looks like the $49 copay is the cost, but when an employee enters their BCBSMS number, the service will determine if the employee has the “select” insurance. If they do, the employee will be asked to enter a credit or debit card, and the fee will be $10. Employees with additional questions should call Employee Benefits at 662-449-7112. 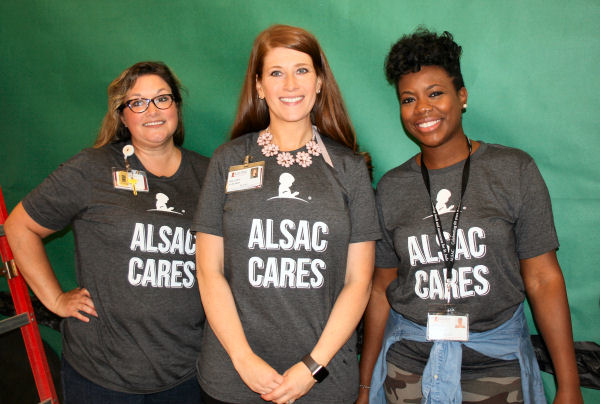 ALSAC Volunteers Rachel Thomas, Hillary Alford, and Lemeka Harris work to assemble hallway bulletin boards at OES. 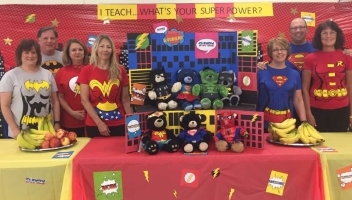 An interesting exercise in community service happened at Overpark Elementary School, and it could not have come at a better time for their teachers and staff members. According to OES Principal Lisa Love, both groups did an outstanding job and there are special connections to both groups. 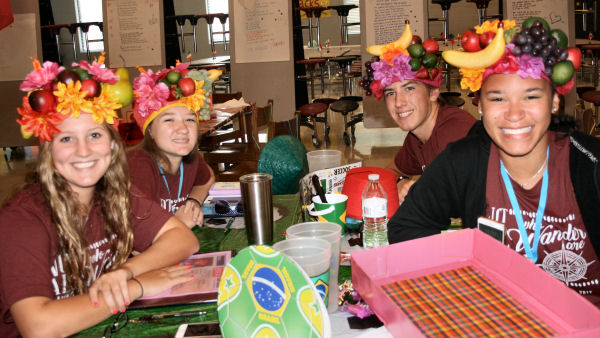 Overpark students have raised more than $147,000 for St. Jude through their Math-A-Thon program since 2006. CHHS Baseball Coach French Hobbs, father of a St. Jude patient, saw an opportunity to finish the job started by St. Jude volunteers at Overpark. He also plans for this team to have a “help day” at Center Hill Elementary School. 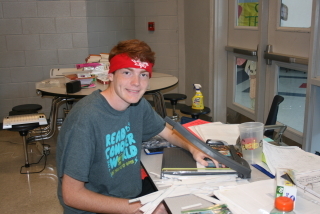 The Center Hill High Baseball team worked to help teachers at Overpark Elementary get ready for the new school year. 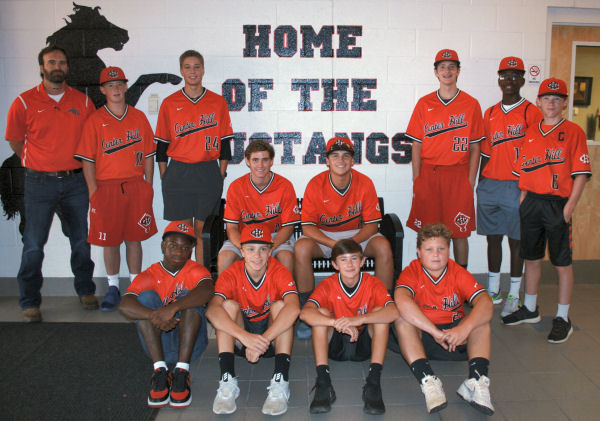 “I want our young men to be good people when they leave our baseball program—not just good athletes,” Coach Hobbs said. Coach Hobbs’ son, John, was treated last year for a rare form of cancer at St. Jude—Mesenchymal Chondrosarcoma—and has been declared cancer-free. Lee Lee's Sweet Shop and Bakery 1139 Holly Springs Road Hernando, MS 38632 662-288-1600 10% discount with badge. Jersey Mike's Subs 6518 Goodman Road Suite 110 Olive Branch, MS 38654 662-932-2425 10% discount with badge. Moe's Southwest Grill 5338 Goodman Road Olive Branch, MS 38654 662-874-6850 10% discount with badge. The Sparrow Boutique 4857 Goodman Road Olive Branch, MS 38654 10% discount with badge. For a look at the complete PERKS list, click this button!